1. There are increasing requests for assistance in hastening death. 2. 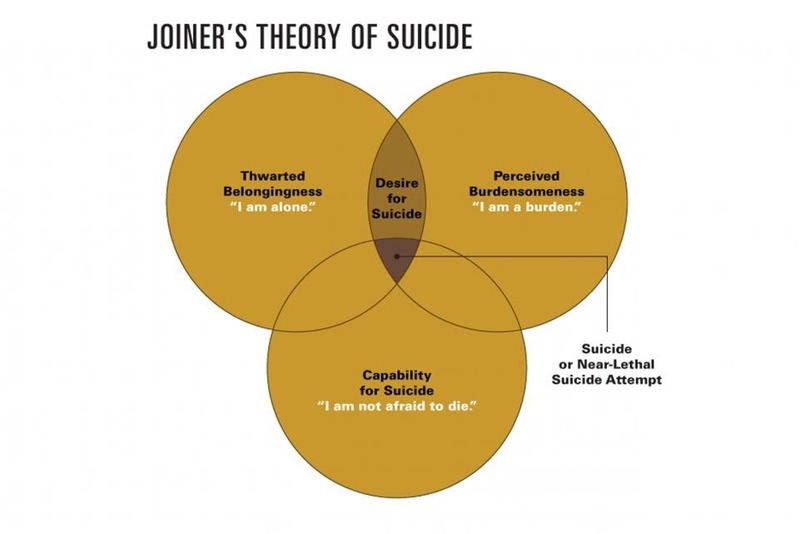 Joiner’s suicide model provides a framework for understanding the situation. 3. Our clinical response is one of active presence to the patient and family, accompanying them in their time of need. Helen 81 yo lady with breast cancer … requested assisted suicide … primary md and consulting md refused both stating she was clinically depressed … husband called Compassion in Dying whose medical director spoke with Helen … “frustrated and crying because she felt powerless” … daily aerobic exercise until 2 weeks ago … still doing housework … no pain … had experienced the lingering death of her husband … primary concern was anticipated suffering … Compassion in Dying recommended MD … lethal prescription supplied and Helen died soon after. have you found yourself thinking you’d be better off dead? Asking patients to describe what they think would happen if they killed themselves may elicit wishes for revenge, power, control, punishment, atonement, sacrifice, restitution, escape, sleep, rescue, rebirth, reunion with the dead, or a new life. -enhance meaning Breitbart,W., Rosenfeld, B., Gibson, C., et al. (2009). Meaning- centered group psychotherapy for patients with advanced cancer. Psycho-oncology, 19, 21–28. -conserve dignity Chochinov, H.M., Hack, T., Hassard, T., et al. (2005). Dignity conserving therapy. Journal of Clinical Oncology, 23, 5520–5525. -life completion tasks Steinhauser, K.E., Alexander, S.C., Byock, I.R., et al. (2009). Seriously ill patients’ discussions of preparation and life completion. Palliative and Supportive Care, 7, 393–404. Handbook of Psychiatry in Palliative Medicine. Chochinov and Breitbart. Oxford. 2009. The Case Against Assisted Suicide. Kathleen Foley and Herbert Hendin. Johns Hopkins. 2002. The Physician Assisted Suicide Debacle in The Mind Has Mountains. Paul McHugh. Johns Hopkins. 2006. The Future of Assisted Suicide and Euthanasia. Neil M. Gorsuch. Princeton. 2006. Physician Assisted Suicide Ruling in Montana. Wm Breitbart. Pall Supp Care. 2010. p. 1-6. Countertransference and Ethics. Kelly BJ etal. Pall Supp Care. 2003. 1:367-375. Sedation, Alimentation, Hydration and Equivocation. Sulmasy. Annals Int Med. 2002. 136:845-849. Palliative Sedation. Claessens. J Pain Symptom Mgmt. 2008. 36: 310-333. Death is That Man Taking Names. Robert A. Burt. U California. 2002. Death Talk. Margaret Somerville. McGill Queens. 2001. -how do doctors and patients behave toward each other in times of stress & tension? projective identification – whose emotion is it? countertransference enactment – whose (emotional) need is it? -do we ignore the ambivalence death provokes … and operate under an illusion of control?